Several years ago I highlighted the future service value of public sector entrepreneurship in one of my PA TIMES Online articles. In the article entitled, “Is Public Sector Entrepreneurship The Way To The Future?” I first discussed how the private sector gets the majority of workplace creativity attention. Next, I expressed how building a culture of entrepreneurship in the public sector could be a professional attractant for those considering future career tracks. But principally, I outlined an idea for creating a recognized credential which could be awarded for an innovative new public service or product. Well, today I believe that there is more non-traditional creative thinking in the public sector. However a distinct methodology for sharing innovative initiatives is still lacking. 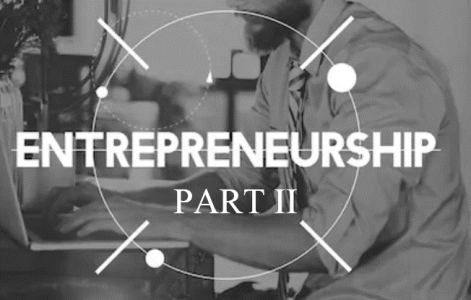 Therefore, in this Public Sector Entrepreneurship: PART II article, I will share a few replication-friendly entrepreneurship examples that I hope will ignite innovation in your workplace. Presentation mentoring is a customized approach for individuals to share their past learning experiences with others for the purpose of personal and/or professional growth. Traditional mentoring is usually the pairing of an older person with a younger person. Together they share discussions on life and world-of-work issues. Often there are limits regarding the length of mentoring time and frequency. However the goal is to better equip the younger person for tomorrow’s challenges. The entrepreneurial aspect of presentation mentoring lays in its delivery design and its recommended audience. For example, what if an organization required each of its senior employees to deliver a presentation mentoring message each week to recent hires for the first 90 days of their employment? This personally delivered message would require no more than 30-60 minutes and would cover company culture, workplace expectations, past company positives and negatives, etc. Or what if high school freshmen delivered a presentation mentoring talk to a sixth-grade class about what they could have done to make their transition to high school better? Or maybe college freshmen to high school juniors? Presentation mentoring as a design would fit in so many learning-to-learn situations. The unique benefits would be the experience of preparing and making presentations and sharing personal growth examples. Presentation mentoring has the potential to serve as a continuous improvement opportunity for all involved. A strategic part of public sector entrepreneurship is observing a specific private sector opportunity and adapting it for the public arena. Hence the concept of an entrepreneur pitching his or her new business idea to a group of potential investors is more than public-sector appropriate! The goal of convincing public sector officials to invest in a unique idea and have it grow into a successful service/product is pure motivation! So think…what if we applied shark-tanking everywhere to the overall public service system? Proudly, I am able to report that I am working with a public regional development agency that has elected to utilize the Shark Tank concept as an initiative to generate new service/product ideas from staff within their organization. Staff will have the opportunity to pitch their ideas to agency leaders and obtain the support necessary to pilot test new client-customer service designs. This inclusive continuous improvement opportunity for the agency will label its staff as true entrepreneurs in the field of public service. Job shadowing is not a new concept. Traditionally, young adults in high school have been encouraged to visit a company and observe a professional in their daily world of work. The goal has always been to give the young person a better idea of what is involved in working in a specific job area. But what would happen if we built adult job shadowing into our personnel policy handbooks and required all employees in an organization to learn more about each other’s jobs? Today more than ever before, I would contend that job titles and job descriptions do not offer a comprehensive understanding of employment in the public sector. Responsibilities beyond what is written for human service workers, teachers, technology support personnel and others are just assumed/expected as part of the job. The result is that leadership, co-workers and colleagues are unaware of extra-curricular employment complexities which ultimately go undetected when considering public service quality, customer satisfaction and performance reliability. Adult job shadowing would be an excellent continuous improvement component for personnel in every organization. Whether you called it, “Job Components Exploration,” “Work Position Realization Time,” or, “What Do Our Jobs Look Like Today Observations,” the process would result in workers knowing much more about the jobs being done all around them. Genuine organizational development would also be a progressive outcome of introducing adult job shadowing in a workplace. The investment of employee time, energy, understanding and attention would be more than returned based on a more highly informed workforce. Public sector entrepreneurship should be the expectation—not the exception.